I think I might be a bit of stoic. It’s not that I agree with stoic metaphysics or logic — I actually know very little about those things — but if asked about my general attitude toward life, I would describe it as being stoic. For me, that means that I try to live in the moment as much as possible, to constantly factor-in the arbitrariness of the world around me, and to regularly practice negative visualisations. I never get too attached to my current state of being; I always imagine that things could get worse. For those closest to me, this is an infuriating habit. As a result I sometimes find myself drawn away from the stoic habit of mind, and into more involved, avaricious modes of thought. Nevertheless, I always wander back to stoicism in the end. My faltering commitment to stoicism was brought to the forefront of my mind quite recently when I read an article by Eyjolfur Emilsson entitled “On the length of a good life”. The article outlines and advocates the stoic (and Epicurean) view that “a life, once happy, does not become any happier by lasting longer”. That is to say: we don’t need long or indefinite lives in order to be truly happy and content. Now, I tend to think this view is broadly correct, but I have no idea how to argue for it. Consequently, I was hoping that Emilsson’s article would provide me with some assistance. Unfortunately, the article leaves a lot to be desired in that regard, consisting as it does of a series of opaque, somewhat disjointed, reflections on ancient views about happinness and the length of the good life. Nevertheless, there is some wisdom to be found in its pages, and in reflecting on that wisdom I think I see more clearly the strengths and weaknesses of the stoic view. In this post, I want to share some of those strengths and weaknesses. I’ll try to explain why I think the stoics have it right when it comes to what makes life contented and happy (from the perspective of the one who lives it), while at the same time missing certain other dimensions of value that are important when it comes to assessing the overall worth of a life. Stoic View: Happiness (or contentedness or satisfaction) is a present-indexed thing — it depends on how one feels and approaches life in the here and now. It is not a diachronic thing — one does not become happier or more contended by having more time in which to be happy and content. In other words, how happy you are depends on your occurrent mental attitude, nothing else. For stoics, this attitude ought to take a particular form. It is linked to the sole intrinsic good, which is virtue. Virtue is a skill in the art of living. This skill is characterised (in part) by resilience and implacability. The skill is its own reward, it does not depend on external goods or rewards. Thus, for the stoic, happiness is something that is cultivated internally, that is: within the psyche of the individual. It is not dependent on external fortunes or misfortunes. 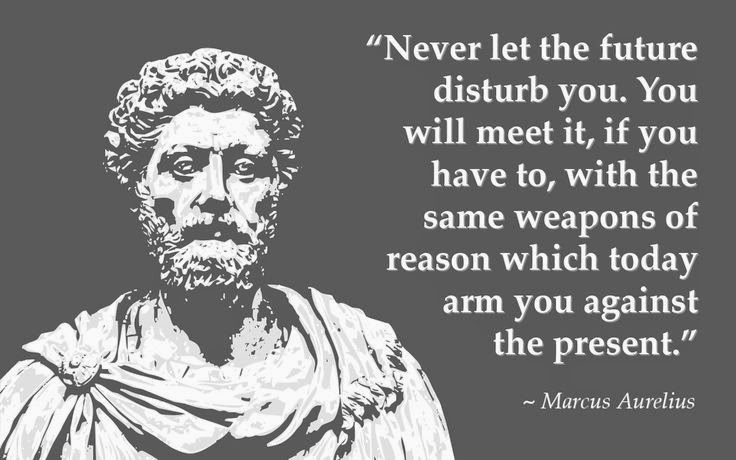 The stoic view is difficult to implement. A common concern is that the true stoic will “give no thought to the ‘morrow”, will be unable to plan for the future, engage in ambitious goal-oriented living, or fully commit to and trust those with whom they live. Stoics usually dismiss this concern. They argue that the stoic can still live an engaged, goal-oriented life. They can have projects and plans and loves. They just won’t be disturbed or devastated if those things are thwarted. I think the common concern is right, up to a point. Speaking from my own perspective, I’m certainly engaged by projects and goals in my day-to-day life — I wouldn’t have done the things I have done if I wasn’t — but I don’t think I’m quite as engaged as many of my colleagues and friends. My goals tend to be short-term; they tend to be based on things I believe are less vulnerable to external misfortune. I enjoy what I do, and I enjoy the things I work on, but I don’t count on having the resources to be able to do them in, say, one or years years time. I’ve never planned that far ahead. Indeed, I probably never fully commit myself to anything; I always include an implicit “get-out” or exception clause. I believe this is deeply frustrating for the people with whom I live. Accumulationist View: Happiness (or contentedness or satisfaction) is a diachronic thing, not a strictly present-indexed thing. One can live a happier and more contented life by having more time in which to be happy and contended. Happiness is thus something that accumulates over time. I say this is more common because I think it chimes with how most people assess the worth of different lives. Imagine two people - Bob and Kevin. Bob was unhappy for the first 20 years of his life, but has been reasonably happy from then on. Kevin has been reasonably happy all his life. They are both the same age. Surely, we would say that Kevin’s life is the happier one? The amount of happiness he had in the past (and indeed can expect to have in the future) accumulates and makes his life happier, overall, than Bob’s. Despite the commonsense appeal of the accumulationist view, I still prefer the stoic view. I can’t quite offer a defence of this. Not yet at least. But I think I can explain why the accumulationist view is appealing. As I point out below, there are dimensions along which we can assess the value of life that go beyond mere happiness. When we bring in those dimensions, something like the accumulationist view is probably correct. But when focusing purely on happiness, the stoic view seems more appropriate to me. Let’s consider a couple of objections to the stoic view. The first is something we can call the “Life Plan” or “Narrative Unity” objection. It derives from a popular theory about what it takes to live a valuable life. According to this theory, one of the crucial ingredients in a happy life is either narrative unity or the fulfillment of a life plan. Philosophers such as Steven Luper, Alasdair MacIntyre and Charles Taylor have defended this theory (if you are interested, I looked at Luper’s arguments a few weeks back). Defenders of the life plan or narrative unity objection think that happiness cannot be reduced to a momentary or fleeting thing. It is, instead, a property of the whole of one’s life, i.e. from beginning to end. One’s life is happy (or happier) if it hangs together in some story-like fashion, or if one commits to and achieves some overarching plan. 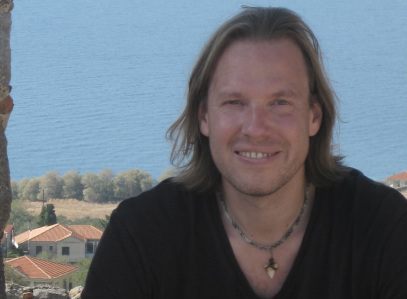 Emilsson argues that there are several problems with such “whole life”-views. For starters, the concept of “narrative unity” is rather vague and imprecise. Must life follow the story-arc of a traditional fairytale or myth in order to be happy? Or are more disjointed and unconventional narratives allowed? Must the story end well? Couldn’t a life filled with misery and tragedy have some narrative unity? Furthermore, who is it that must perceive the narrative unity? Must the person living the life perceive the unity or is it enough that others do? Questions like these, rhetorical though they may be, tend to undermine the credibility of the narrative unity view. What about life plans? Here, Emilsson is perhaps less persuasive in his dismissal. He argues, simply, that very few people actually have life plans. He for example has never had one (nor have I). But he doesn’t think that this means his life or that of anyone else is unhappy. Furthermore, even if one has a life plan, it’s not clear that happiness is contingent upon its success. Indeed, this is perhaps the key clash between the stoic view and that of the accumulationist. For the stoic, the process or moment is what matters, not the effect or outcome. I would add here that there is a curious relationship between these “whole life”-views and the value of an indefinitely extended life (something I also happen to be interested in). The stoic view is pretty indifferent to the prospect of indefinite life extension: it neither fully embraces nor fully dismisses it. This makes sense since the stoic doesn’t believe that longevity can increase happiness. Contrariwise, the whole life view seems pretty antagonistic to life extension. At least that’s how it looks to me. After all, indefinite life extension threatens to both (a) undermine the narrative unity of life by removing the ending; and (b) undermine the significance of life plans and achievements by reducing the value of achievement (I discussed the latter point, ad nauseum, in an earlier set of posts). A more troubling critique of the stoic view is something I call the “constitutive relationship” objection. This objection holds that the stoic view is unsustainable because our present happiness is often constituted by events that occur in the past or the future. For example, as I sit here and type I occasionally reminisce about my youth. As I do this, I may remember my first kiss or the first time I fell in love and feel a joyful sense of nostalgia wash over me. In this case I am happy in the present moment, but my happiness is constituted by events from my past. This can occur by imagining future events too. But if this is what happens, then happiness isn’t a purely present-indexed thing. Just to be clear, this objection isn’t simply a re-statement of the accumulationist view. In the example I have just given, it is not that my present happiness is a product of the accumulation of past instances of happiness — though this may also be true — it is that my present happiness refers back to past or future events. Given the way in which human life is embedded in time, it seems like this temporal referencing will be difficult to avoid. Indeed, it is the deprivation of hypothetical future experiences that renders death such a terrifying fate for so many people. But if all that’s right, then it’s difficult to see how the stoic, present-indexed view can be sustained. As I say, I think this is a serious criticism of the stoic view. There are, however, a couple of strategies that the stoic can adopt in response, none of them particularly persuasive, but perhaps cumulatively serving to lessen the blow. The most obvious of these strategies is to try to purge ourselves of past-and-future referenced thoughts as much as possible. I mentioned above how I like my own future ambitions and projects to have a limited time horizon. I find this helps to reduce (though not completely eliminate) the future-referencing of my present happiness. I think something similar can be done for the past too by trying to purge oneself of wistful nostalgia. Indeed, “don’t romanticise your own past” is an imperative I think we could all do with heeding. Some further philosophical reflection might serve to lessen the impact of past and future referencing too. For starters, future-referenced thoughts are essentially fictitious creations of the present. So any happiness associated with them could be viewed as present-indexed. Similarly, our recall of the past is highly imperfect, and prone to all sort of biases and reconstructions. I have no doubt that my memories of my first kiss or first love are largely mythical creations of my present psyche. Perhaps then even when I do remember these things my happiness is largely constructed from the present. To be clear, I don’t think either of these strategies is fully successful, but that just underscores how practically difficult the stoic view is. I will conclude with a couple of related observations. First, I want to reiterate that, despite its practical difficulties, I think the stoic view is, in some sense, the “right one”. I say in “some sense” because I appreciate the diversity of interests that might be at stake. For me, the sense in question has to do with the psychological health of the person whose life it is. In other words, I think the stoic view is the one that is most conducive to the psychological health and wellbeing of the individual. Thus, if it is possible to render one’s happiness a largely “present-indexed” thing, I think one should try to do it. But this doesn’t mean that the stoic view is the right one in all senses. In any debate about happiness and well-being, there is room for confusion. People often mean very different things when employing terms like “happiness” and “well-being”, and consequently debates can often end with their participants talking past each other. That’s why I want to be clear and I say that I think there are many dimensions of value along which we can assess an individual’s life. Most of those will be missed by the stoic view. Thus, for example, we might assess an individual’s life using various objective measures of excellence. Did they make any significant scientific discoveries? Did they create a great work of art? Did they do great moral work, e.g. alleviating poverty and suffering? If they did, then their life might be more worthwhile, more significant and more meaningful than a person who did none of these things. But that doesn’t mean that they will have lived happier lives, at least not in the stoic sense. This is intuitive anyway since we can easily imagine someone doing these things while living lives of misery and suffering. For example, Vincent van Gogh produced great works of art during his lifetime, but that life was, by all accounts, pretty miserable. As I say, that is pretty intuitive. Nevertheless, it is important to see just how far the stoic view goes in this direction. It is not just the van Gogh’s life wasn’t any happier for all the great works of art he produced; it is that even if he had been happy while producing those works of art, he wasn’t any happier just because he produced objectively valuable works of art. For the stoic, happiness is not contingent on external achievements. It is something that is produced by the right habit of mind, irrespective of its external focus and achievements. So a life can have many dimensions of value, the stoic view is only concerned with one of those dimensions: subjective contentment.